Mankind has witnessed a phenomenal progress through the stages of its evolution and there has been extensive development in terms of architecture and infrastructure. 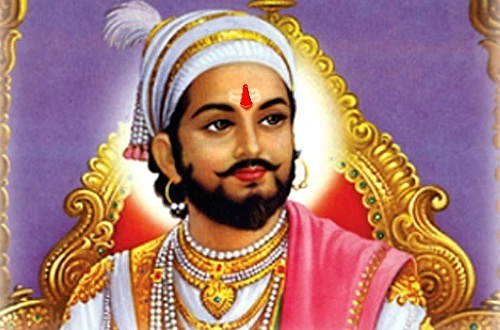 A large number of bridges have been built around the world to connect places. 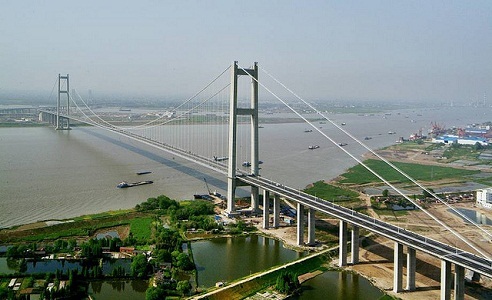 On number 10 spot in the list of longest bridges in the world is the Expressway bridge called Runyang Bridge in Jiangsu Province of China. 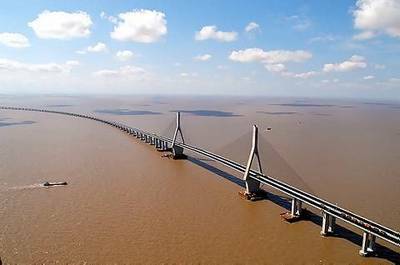 It is built over the Yangtze River and extends to an amazing length of 35660 m. The bridge was completed and opened for public in 2005 and the project cost nearly 700 million dollars. The number 9 position on this list is occupied by the Hangzhou Bay Bridge, an expressway bridge which spans the Hangzhou Bay is the coastal area of Eastern China. 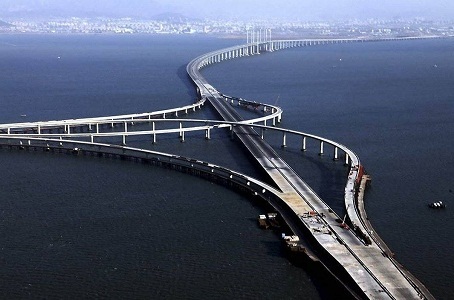 The length of this bridge is 35673 m and it was completed and put into operation in 2007. Featuring next on the list of top 10 longest bridges in the world in 2015 is the Yangcun Bridge, a high speed railway bridge located in China. 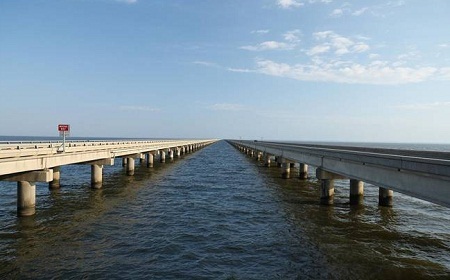 The completion of the ambition project took place in 2007 and the bridge was built to reach a stupendous length of 35812 m.
After the last three bridges being from China, the next name on this list is that of the Manchac Swamp Bridge in the US. This is a comparatively older bridge, which dates back to 1979. 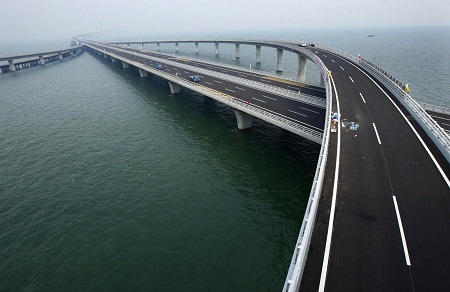 This highway bridge spans a length of 36710 km. 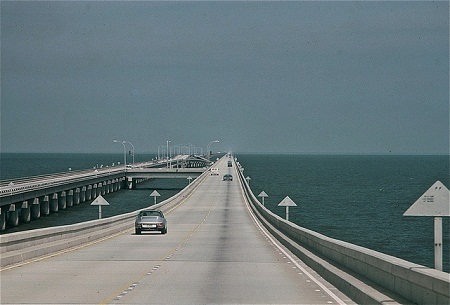 Lake Pontchartrain Causeway is the sixth longest bridge in the world and the longest one in the US. The length of this bridge is 38442 m and it constitutes of two parallel bridges, the Northern Terminus which was built in 1969 and the Southern Terminus, which was built in 1956. It is a highway bridge. Another bridge from China which features on number 5 in the list of longest bridges in the world in 2015 is the Beijing Grand Bridge, a high speed rail bridge spanning a length of 48153 m. The bridge was completed in 2010. 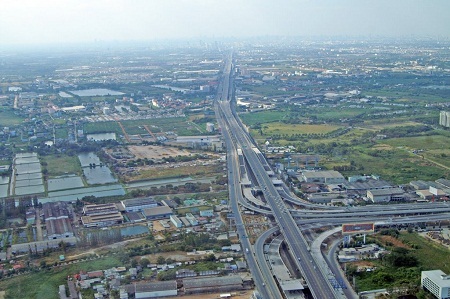 Next among the bridges with the greatest length is the Bang Na Expressway in Thailand, which reaches a great length of 54000 m. the bridge became operational in 2000. On number three in this list is another high speed rail in China, which is the Weinan Weihe Grand Bridge reaching a length of 79732 m. The bridge reached its completion in 2008. 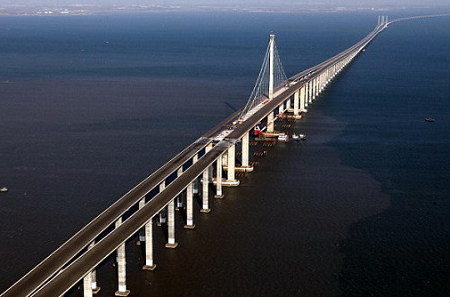 Tianjin Grand Bridge is the second longest bridge in the world. 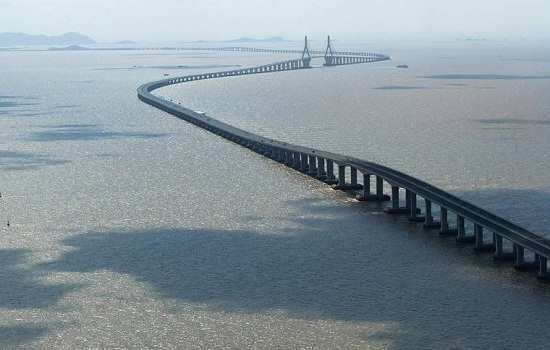 It is a high speed rail bridge between Beijing and Shanghai and is 113700 m long. The bridge was completed in 2010. 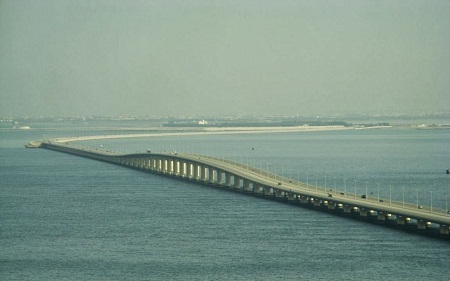 The longest bridge in the world is also located in China and is the world famous Danyang Kunshan Grand Bridge. Spanning a length of 164800 m, this high speed rail bridge connects Beijing and Shanghai. This bridge was opened for public in 2010. 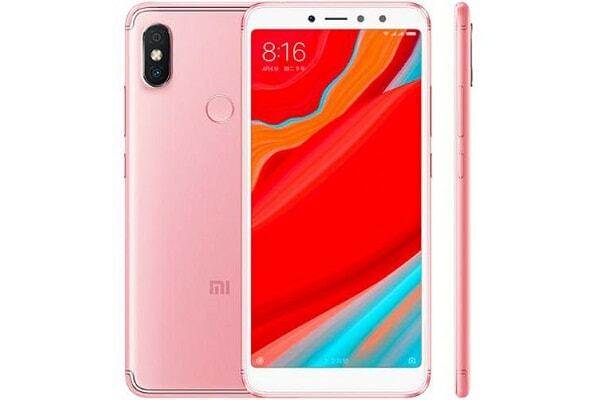 Some other bridges in the world which are recognized for their great length are Donghai Bridge, Shanghai Maglev Line, Dwarka Sector 8 Metro Station and Atchafalaya Basin Bridge.